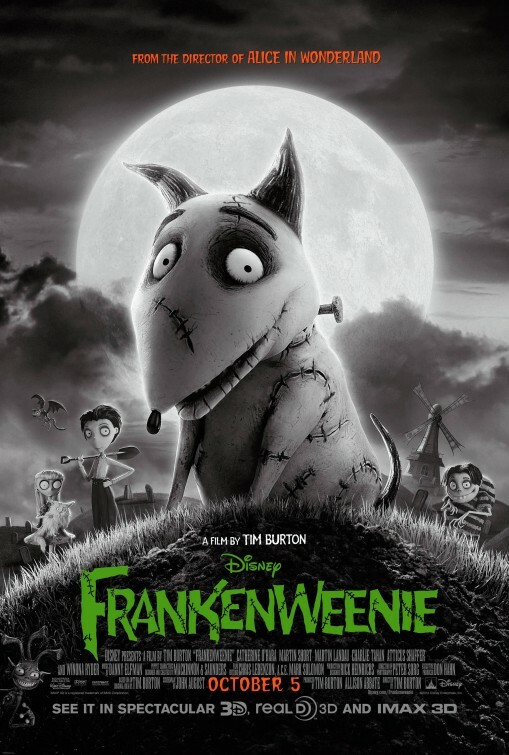 Like most people, Tim Burton is a filmmaker who likes working with a select set of familiar faces. Since 2001, Burton’s wife Helena Bonham Carter has appeared in every one of his films. 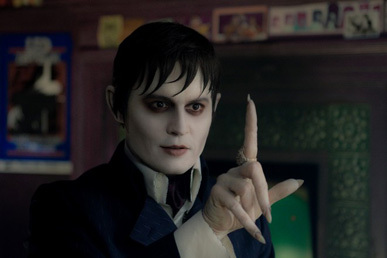 Johnny Depp has appeared in every Burton film since 1999’s Sleepy Hollow, save for Planet of the Apes. It got to the point where you knew if Burton were attached as director, these two would be riding shotgun. No so fast, as Big Eyes is absent Depp, Carter, other longtime collaborators like editor Chris Lebenzon, and really any noticeable sign that Burton actually was the director. This bizarre biopic about a scandalous secret in the art world fails to justify more than a casual viewing. In the 1960s, Margaret Keane’s (Amy Adams) portraits of waifish children with large, tragic eyes were the most popular art of the decade. They fascinated the public who couldn’t get enough, including clamoring for reprints so everyone could have their own Keane work of art. Except the world at large never knew that Margaret had painted them. 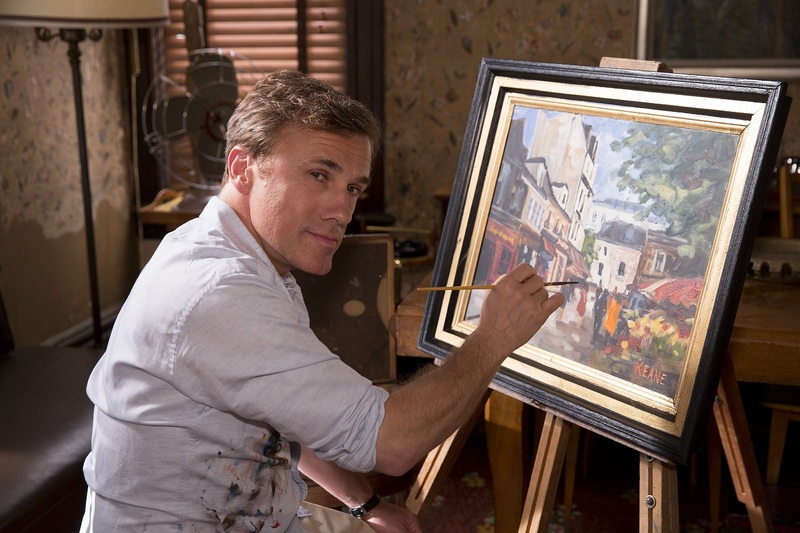 Her husband, Walter (Christoph Waltz), was posing as the real creator. He appeared on television, ran with famous celebrities, and always looked for the next platform to elevate the Keane name, all while Margaret stayed home and painted. She agreed to go along with Walter’s version of events because the public was more accepting of a male painter, and Walter was such a natural salesman. The world could never know the truth. Being a true-life story, there are certain limitations inherent in sticking to the facts while still telling an engaging story, and Big Eyes suffers from this. There is an interesting story here, no doubt, and that is clear and on display when Margaret and Walter square off in court as a majority of the third act. Before then, the screenplay by Scott Alexander and Larry Karaszewski (Ed Wood, The People vs. Larry Flynt) plays in a very linear fashion, telling the story very conventionally except for the annoying narration of a news reporter (Danny Huston). The reason this character is clumsily inserted into being our narrator is because the real main character, Margaret, spends two acts being so passive and often hidden before she gathers the courage to challenge her husband and expose him. Naturally, there’s got to be a realistic character arc where our heroine goes from naïve and inactive to stronger and active, but it takes most of the movie. In the meantime, she paints and paints and literally hides herself from the world. It feels like the movie forgets about her while Walter is gallivanting around on her fame. Ironically, the movie actually becomes a series of men attempting to tell Margaret’s story; the first is her husband but the other is the invented and unnecessary narrator. To make up for the time the film seems to paint a more flattering than deserved picture of Walter. I think perhaps they want the audience to fall under his spell just like Margaret and then slowly come to the same dawning realization. His initial argument is that female artists are not taken as seriously in their era, and I’m sure there’s truth to this. It was generally harder for a woman to be seen as legitimate in just about any capacity other than homemaker in the 1960s. We spend a full two acts with him charming others and hoodwinking the art world. He’s portrayed as more of a used car salesman con man than what could be described as a dangerous egotistical drunk who exploits his wife. The movie gives him a few nasty moments but it seems to portray Walter with light judgment, even after he endangers Margaret and their daughter’s lives. With Margaret figuratively and literally a kept woman cooped up for so long, Walter’s antics start to come across as vamping, filling time until Margaret hits that point on her character arc to leave him. It becomes tiresome then to just watch Walter sputter and spin his way to greater fortune and fame, though he deserves credit for popularizing the printing of painting reproductions that sell for cheap. Walter Keane, footnote in the art world for commercializing it for the masses. 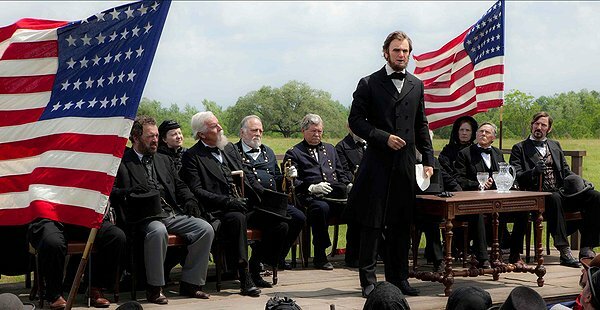 Waltz (Django Unchained) is an effortlessly entertaining actor and charming cads with a thinly veiled air of menace are his specialty. It’s a waste of his talents because Walter is kept as an ongoing mystery rather than an opportunity to explore a complicated character’s psyche. We find one falsehood after another, but in the end, he’s still just a mystery left unsolved. There is amusement to be had at points as to be expected when it comes to keeping up a con, almost getting caught, the scrambles to continue hiding the big lie. This fun is at the expense of Margaret, which the movie wants you to think about and not think about at various points. There are streaks of comedy but I’d hardly call Big Eyes a comedy (sorry Golden Globes categorization). Terrence Stamp is enjoyable as a disapproving art critic who cannot believe what Walter is doing or why he is popular. The final act is easily its most entertaining as Margaret finally gets to call out her scoundrel of a husband for his bad behavior. It takes several unexpected turns that seem too fanciful to be true, and yet they are. The courtroom setting feels right for this script, and if there were a rewrite, I would have used it as the primary setting. The story could be introduced through a series of flashbacks. At least that way we don’t have to wait for Margaret to be the strong heroine we need, and we don’t have to be constrained by the wait of linear storytelling. This approach would strip away some of the redundancies of the plot and at least allow Margaret an opportunity to be the one telling her story. Another problem with Big Eyes is that at no point does it feel like a Tim Burton film. The man is better known for his dips into Gothic fantasy, but in 1994 he showed he could more than pull off a conventional film in Ed Wood. Just because the story doesn’t involve weird fantasy characters and violence doesn’t mean that Burton cannot still add value being the man to tell that tale. 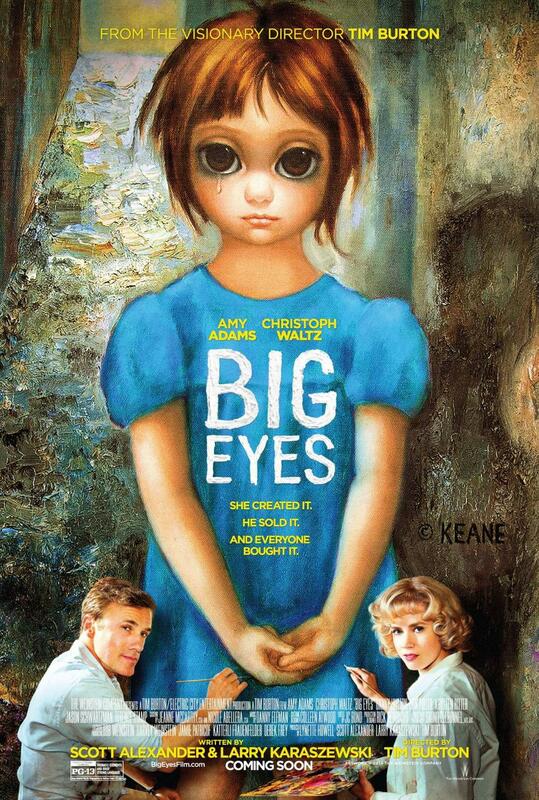 Unfortunately, there is no point while watching Big Eyes that feels like it was directed by Burton. The director could have been anybody. If you kept the identity of the director secret, I cannot imagine more than a slim number of participants accurately guessing who directed the picture. I wonder what attracted Burton to the script, which does have its share of true-life eccentrics and hucksterism, both appealing aspects for the man. It’s just lacking a sense of vision that Burton usually has in spades, even if that vision over three decades has become a tad commoditized. I won’t go as far to say the film is poorly directed because a majority of the problems remain with its script rather than the actors or shot selections. Still, Burton doesn’t bring much to elevate the material. Perhaps that’s a positive, he didn’t attempt to overpower the narrative with a superfluous detour in style, but then why hire Burton? Adams (American Hustle) is a consistently good actress and she does her best with the part, but the limitations are even too much for her talents. By no means is she bad but she’s playing a passive character often given to worry. She’s stashed away for a majority of the movie. You feel like Adams is acting with one hand tied behind her back. Big Eyes is a movie that intrigues you with its potential only to frustrate you with its eventual execution. The true story behind the film is juicy and outlandish, crying out for the venue of cinema. The struggle between husband and wife over the ownership of an empire is a conflict that hooks an audience. Thanks to a repetitive plot structure and character vamping, the film limits the heights it can achieve. Burton’s presence is not felt at all throughout the film. The comedy often sours when you realize the full context of what’s going on, a much more serious affair than the film often wants you to think about. The characters are kept at a distance and given arcs rather than deeper exploration. She will become active and find her voice, fighting for credit. He will be the con man who wants to keep everyone distracted, fueled by jealousy at his wife’s abilities. There’s more psychological complexity here, but Waltz and Adams are slotted in very narrow boxes. They have little to work with and their performances show it. Big Eyes isn’t a bad film but it’s one that deserved to be better in just about every regard. It’s a fleeting curiosity more than a fully developed film, and that’s a shame given the source material. 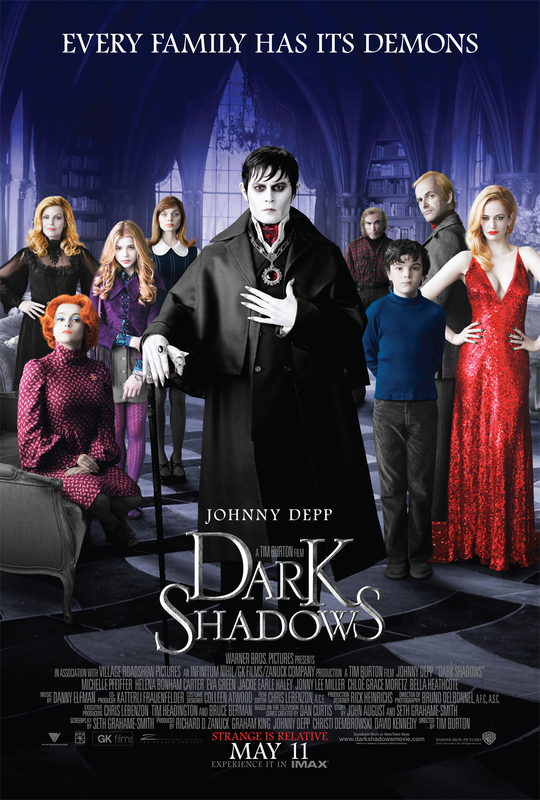 Expect Burton to return back to the safe embrace of Johnny Depp’s arms at any moment. Famed musician/lyricist Stephen Sondheim’s tale of murderous barbers, cannibalism, and poisoned hearts first debuted on Broadway in 1979. Sondheim has been very protective of his material when it comes to film rights, but it wasn’t until the combination of visionary director Tim Burton and acclaimed actor Johnny Depp that Sondheim allowed his revered musical to be made into a movie. The result is faithful production that expands the scope of the musical while maintaining an intimate, chamber-music feel. Sweeney Todd flirts with being a masterwork but settles for being incredibly damn entertaining. Benjamin Barker (Johnny Depp) returns to London after 15 years in prison on a flase charge. Judge Turpin (Alan Rickman, suitably creepy) wanted Barker’s wife for his own and conspired to have the barber sent away. 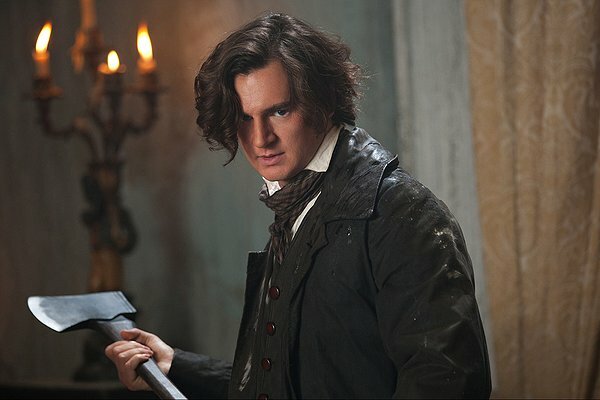 Now under the auspices of Sweeney Todd, Barker has come back to seek his wife and daughter. He sadly learns that his wife is dead and his teenaged daughter, Johanna (Laura Michelle Kelly), is the ward of the Judge. Sweeney reopens his barber business above a flagging pie shop run by the eccentric Mrs. Lovett (Helena Bonham Carter). Sweeney plots his revenge against the Judge and his henchman, Beadle Bamford (Timothy Spall, suitable rat-like). Anthony (Jamie Campbell Bower), who traveled with Sweeney back to London, has set his sights on Johanna and intends to run away with her as soon as she can escape the Judge. Meanwhile, a rival barber named Pirelli (Sacha Baron Cohen) recognizes Sweeney from the old days and wants his silence paid for. It’s not too long before things get dicey, throats get cut, and people get turned into meat pies. People unaware of the Sondheim musical are going to be in for a big shock. The film is about 80 percent sung, and the singing never rises to big, show-offery numbers of crescendo power vocals; the songs are more in the variety of speaking and vocals frequently overlap. The movie has greater clarity to the lyrics, and for the first time I as able to actually decipher Joanna’s words in the song “Green Finch and Linnet Bird.” Fans of traditional musicals, the kind that feature songs centered on female deer or large corn exporting states, may be aghast at how adult and violent the musical is. It’s just as much a grand horror movie as it is a musical. No doubt people are not generally accustomed to soaring medleys set to gashed throats and spurting blood. Sweeney Todd is captivating tale where almost all the characters are villains in some sense, and yet you do build sympathies even after innocents are killed and baked into flaky desserts. Unlike other recent big screen versions of popular Broadway song-and-dance shows, Sweeney Todd is not simply the stage version transported to a bigger stage. This is a movie, through and through, and a perfect marriage. Burton is the perfect visionary to filter the twisted sensibilities of Sondheim’s masterpiece onto the silver screen. As a director, his work has been artistically backsliding since the start of this decade, but Sweeney Todd puts a firm stop to that. The technical aspects of Sweeney Todd are brought to life with great care and imagination. The Gothic sets are gorgeous and the costumes and cinematography are fitfully drab and dour, like everyone is living in a silent movie devoid of color; it takes a lot of hard work to create a near monochromatic playing field for the actors. And so when the blood does splash, and oh does it splash, the film pops with vivid color. Sondheim’s playful lyrics and rapturous music has never sounded better; it practically swoons. The movie opens up the play in ways that a staged performance never could. Instead of keeping a distance from the bloodletting, usually something symbolic or as graphic as coloring a red line across a victim’s neck, Burton thrusts the audience right into Sweeney’s shop. The blood sprays in bright geysers and the violence is fully realized, fully felt, even if it’s never terribly realistic. The full weight of Sweeney’s vengeance and eventual destructive madness can be felt when the audience is witness to its wrath, and that includes the graphic murders. The medium of film ups the horror elements and transforms Sweeney Todd into a stronger work by amplifying the tension. The last scene with Mrs. Lovett is far more haunting than anything that could have been achieved on a stage. Burton also adds lots of dark humor thanks to his open visual palate, like during the song “By the Sea” where Mrs. Lovett fantasizes about her and Sweeney cozying up together in different scenarios. The film transports the viewer to the different pretend locales all the while Depp remains gruff and indifferent. He maintains the same curmudgeon from fantasy postcard after fantasy postcard. It’s the cheeriest segment in a grimly perverse musical that could rival Hamlet for dead bodies. In an effort to slice a three-hour musical to a manageable two-hour movie, screenwriter John Logan (The Aviator, Gladiator) has pruned the story down to the essentials, namely everything that impacts Sweeney’s ultimate pursuit of vengeance. Johanna and Anthony, the hopeful lovers, have been pared down the most. Their only scenes now revolve around intruding upon Sweeney or helping him meet his venomous goals. The lecherous songs the Judge sings to himself about his lust for Johanna has also been cut (my wife was severely disappointed by this cut, saying, “You’ve got the Rick, come on!”). The most notable omission is the opening medley “The Ballad of Sweeney Todd” that serves as a Greek chorus-like overview of the sordid tale ahead. The song provides a lot of back-story and exposition that can be more easily covered by Burton fashioning visual flashbacks of Sweeney’s former life. The ballad and other absent songs are still used instrumentally throughout the film. Logan has also turned Toby (Ed Sanders), Pirelli’s assistant, into a much younger character, turning him into an urchin boy with fresh memories of life in a workhouse. I’m not entirely sure Toby’s protective song to Mrs. Lovett “Not While I’m Around” becomes an ode to puppy love and loses some believability. Also, normally Toby is played as a man-child who isn’t entirely whole in his mental faculties; however, the movie version turns him into a plucky Oliver extra. It seems less devastating and tragic. But what about the singing? Depp won’t be knocking down doors on Broadway anytime soon but he delivers a very satisfying baritone that, while lacking in power or refinement, delivers in spades with emotion. His singing is full of great texture. His song “My Friends,” an ode to being reunited with his razors, is full of brio and nuanced longing, but he really shows his talent when Sweeney loses it. He’s a man obsessed with vengeance and when it escapes his grasp he snarls with scary intensity. When he launches into “Epiphany,” where he determines the whole human race is fit to have their throats slit, he barks at strangers on the street and howls at the sky, smiling at his glistening razors in hand. What can be forgotten with musicals is that there is so much more to a performance than simply an adept ability to sing the right notes. With Sweeney, Depp spins an incredibly rich performance that plumbs the dark recesses of a man whose only purpose is vengeance. In the end, when he’s saturated in blood and the full reality of his actions is upon him, Depp goes from remorse to psychosis to horror to acceptance in, like, a minute flat. Seeing such a classic Broadway character done justice by an actor of Depp’s immense talent is thrilling and a bit of a relief to Sweeney fans. Carter has the weakest, thinnest voice of the cast. Mrs. Lovett is a larger than life figure that has been played on Broadway by the likes of Angela Lansbury and Patti LuPone. The role is usually played more boisterous, more comically broad. It’s a juicy part and full of brash bravado. Carter stumbles through “The Worst Pies in London” and she seems to step all over her lines, rushing through and losing the comedic flavor. But like I said before, a performance is so much more than singing, and it is here where Carter imbues great complexity to her role. Her unrequited love for Sweeney consumes her and her relationship with Toby places her in an awkward predicament. Carter flashes a wealth of emotions through the power of her eyes. It’s a battle between maternal and sexual urges. Stylistically she resembles a rag doll someone tossed in the trash but it all works. It’s refreshing and exhilarating to see a perfect marriage of material and artistry. Burton has transported Sweeney Todd into a faithful and jubilantly dark movie that doesn’t shy away from the grotesque. It’s a stirring, wonderfully Gothic rendition of Sondheim’s masterpiece. Sweeney Todd is blissful, spirited entertainment that’s not exactly for the squeamish, but this is one musical that can simultaneously touch the heart while turning the stomach.